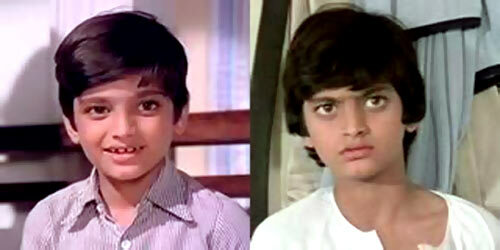 Rediff.com » Movies » Quiz: Do you remember these child actors? In the first and second part of this special series, we looked back at character actors and actresses in Hindi cinema, who have been a big part of our memories. 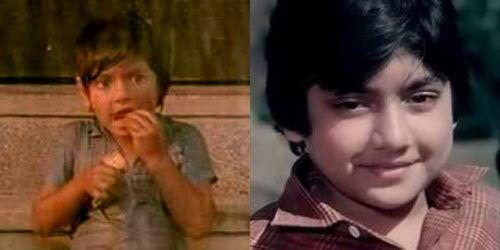 In this final part, we look at the child actors, whom we have grown up watching in Hindi cinema. 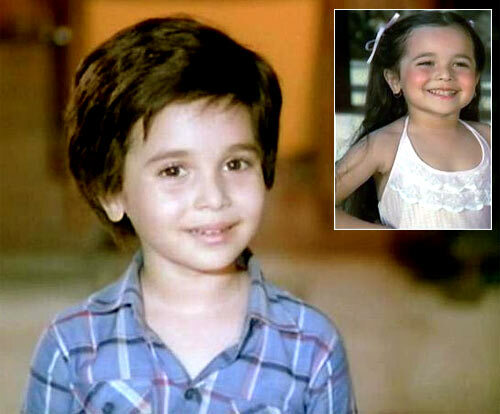 Do you know these child actors? 1. Identify this child artist. The correct answer is c. Full name: Raju Shrestha. Raju started his acting career in Gulzar's Parichay and Hrishikesh Mukherjee's Bawarchi. He won a National Award for his performance in Chit Chor. He bagged his first Filmfare award for his role in Kitaab, and was brilliant in Woh Saat Din and the television show, Chunauti. Sadly, Raju was not lucky when he grew up. 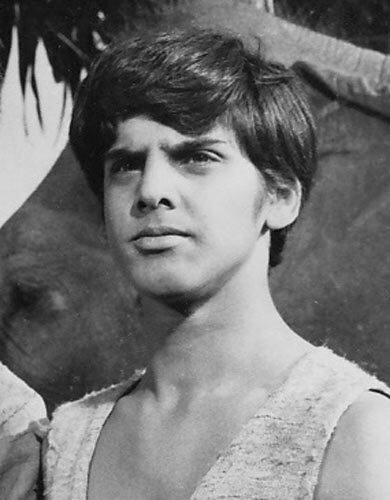 As an adult, he did not have the screen presence to carry off pivotal roles, and ended up with supporting roles. Correct! Full name: Raju Shrestha. 2. Identify this child artist. The correct answer is b. Brother to actress Pallavi Joshi, Alankar worked in about 100 films. He became a software engioneer in the US. Brother to actress Pallavi Joshi, Alankar worked in about 100 films. 3. Identify this child artist. The correct answer is b. Full name: Mayur Verma. Mayur made his acting debut in the film Mukaddar Ka Sikander and became an overnight star. After his acting stint, he shifted to London and worked as a producer, director and television presenter. He has homes in London, India and the US. Correct! Full name: Mayur Verma. 4. Identify this child artist. The correct answer is a. Real name: Naeem Sayyed. Junior Mehmood shot to stardom with Brahmachari. He started his career with Rs 60. By the age of 11, he would get Rs 1 lakh per film. Currently, he directs Marathi films, runs an orchestra and performs Junior Mehmood Musical Nights. He is also working on a television serial called Pyaar Ka Dard Hai Meetha Meetha. Correct! Real name: Naeem Sayyed. 5. Identify this child artist. 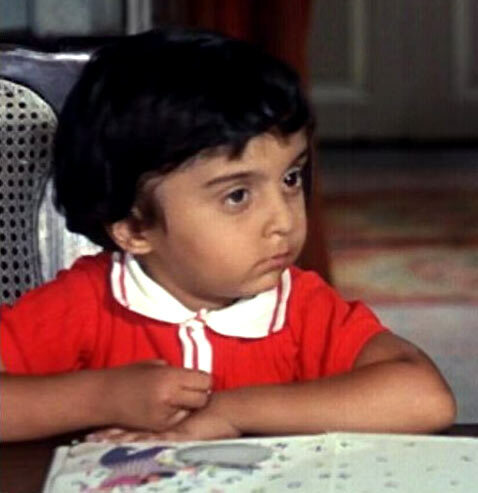 The correct answer is b. Daisy Irani mostly played male chracters as a child. She married movie director KK Shukla at the age of 19, and has three children with him: Kabir, Varsha and Ritu. She is maternal aunt to Farhan and Zoya Akhtar, as well as Sajid and Farah Khan. She was recently seen in the film Shirin Farhad Ki Toh Nikal Padi. Correct! 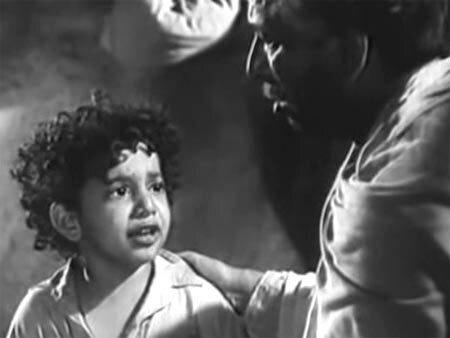 Daisy Irani mostly played male chracters as a child. She married movie director KK Shukla at the age of 19, and has three children with him: Kabir, Varsha and Ritu. 6. Identify this child artist. The correct answer is c. Real name: Shahinda Baig. 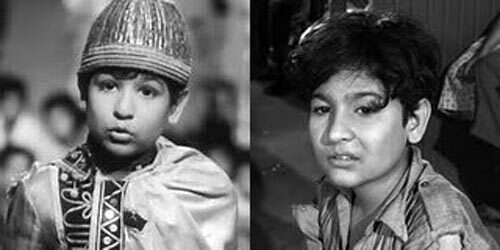 Baby Guddu acted in 23 films, starting from the 1974 film Paap Aur Punya. Her last film was Inspector Dhanush in 1991. She is currently based in Dubai, and works with Emirates Airlines. Correct! Real name: Shahinda Baig. 7. Identify this child artist. The correct answer is b.Full name: Manjunath Nayaker. He started his career with Kannada films but shot to fame with the television series Swami and Friends, which fetched him six international awards, one national award and one state award. 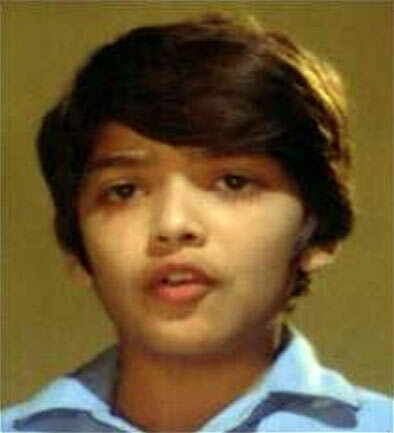 He also played young Vijay Deenanath Chauhan in the Amitabh Bachchan's Agneepath (1990). Manjunath is presently working as Vice President, PR and Liaison, for a Bangalore-Mysore Infrastructure Corridor Project. 8. Identify this child artist. The correct answer is b. Real name: Vishal Desai. Master Bittoo was a part of hit films like Chupke Chupke, Amar Akbar Anthony, Mr Natwarlal, Do Aur Do Paanch and Yaarana. He joined BR Films and got into production and direction. Last heard, he was directing Marathi film for BR Films called Nanyachi Dusari Baju. 9. Identify this child artist. He shot to fame with the role of Babbu in Basera, and that's how he was known for the longest time. 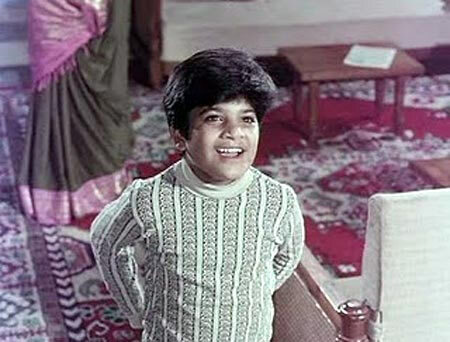 Later, he became a household name and face with the TV show, Ek Do Teen Chaar. Unfortunately, he is no more. He passed away just a few days before his engagement. Correct! Full name: Vikas Khanna. 10. Identify this child artist. The correct answer is b. Aradhana became popular overnight, thanks to her role in Masoom. She did two more films -- V Shantaram's Khuda Hafiz and P Madhavan's Ram Terey Kitney Naam. Aradhana is more passionate about music than acting, and has done a Masters and Ph.D degree in Hindustani Music (Vocal). She is now married, and has a daughter. Correct! 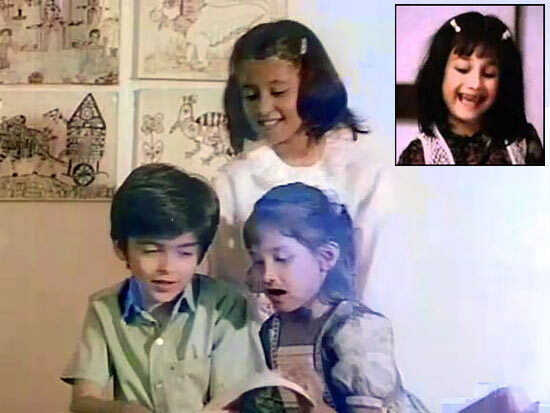 Aradhana became popular overnight, thanks to her role in Masoom. She did two more films -- V Shantaram's Khuda Hafiz and P Madhavan's Ram Terey Kitney Naam. 11. Identify this child artist. 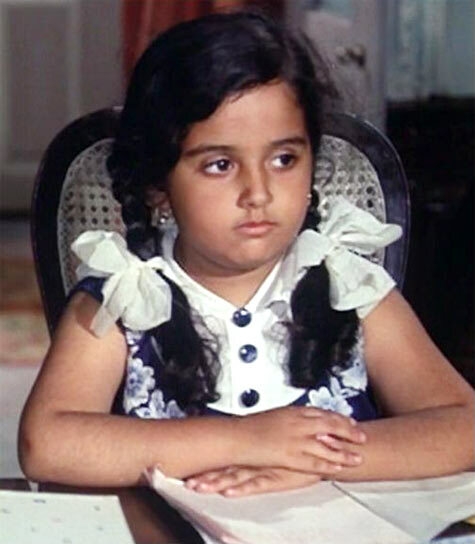 The correct answer is C. Baby Pinky started her career with Parichay and went on to work in 29 films. The last one was 2001's Kasam. Correct! Baby Pinky started her career with Parichay and went on to work in 29 films. The last one was 2001's Kasam. 12. Identify this child artist. The correct answer is a. Sajid Khan is the adopted son of film producer Mehboob Khan. He debuted in his father's film Mother India (1957), where he played the young Sunil Dutt. He had a bigger role in Son of India in 1962, where his song Nanha Munna Rahi Hoon is famous till date. His last film appearance was in the Merchant-Ivory film Heat and Dust in 1983. Correct! He is the adopted son film producer Mehboob Khan. Sajid Khan is the adopted son of film producer Mehboob Khan. 13. Identify this child artist. The correct answer is a. Full name: Satyajeet Puri. 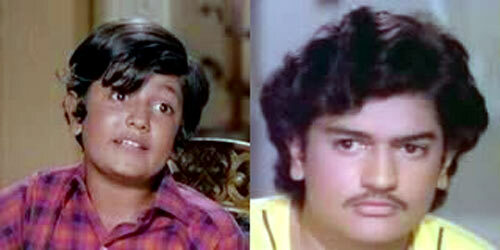 He played the young Dev Anand in Hare Rama Hare Krishna (1971), and sang the song Phoolon Ka Taaron Ka. As an adult actor, he did supporting roles in films like Arjun (1985), Khoon Bhari Maang (1988), Hathyar (1989) and Shola Aur Shabnam (1992). Correct! Full name: Satyajeet Puri. 14. Identify this child artist. The correct answer is b. Full name: Ravi Valecha. He played the junior Amitabh Bachchan in Amar Akbar Anthony (1977), Desh Premee (1982), Shakti (1982) and Coolie (1983). He did his MBA in Hospitality and International Business from NIM and joined a private sector bank. Correct! Full name: Ravi Valecha. 15. Identify this child artist. Real name: Syed Nazir Ali Rizvi. He was part of hits like Do Bigha Zameen (1953), Boot Polish (1954) and Jagriti (1954). He moved to Frankfurt, Germany, in the mid-70s, where he did a course in Hotel Management. He shifted to US later and resides in California. Correct! Real name: Syed Nazir Ali Rizvi.